Foster+Partners’ versatility and contextual thoughtfulness has spawned vastly different projects within multiple areas of the city: from Midtown West, where the firm designed a lava-lamp-like office tower for Hearst Magazines that erupts out of a 1929 cast-stone base; to the clean-cut and utilitarian sliver building for the Sperone Westwater Gallery in the Lower East Side. 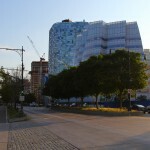 50 United Nations Plaza, Foster’s first residential project in the city, is a shiny, jewel-like monolith that complements the United Nations complex well. 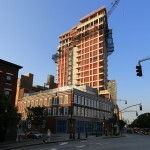 551W21 rises at the southwest corner of 21st Street and Eleventh Avenue. 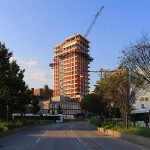 The developers, SR Capital, led by Scott Resnick, finished assembling the site in 2011, purchasing air rights from an adjacent property to preserve the project’s northern views. The design team, led by Foster+Partners with Beyer Blinder Belle as executive architects, had plenty of context to work with. 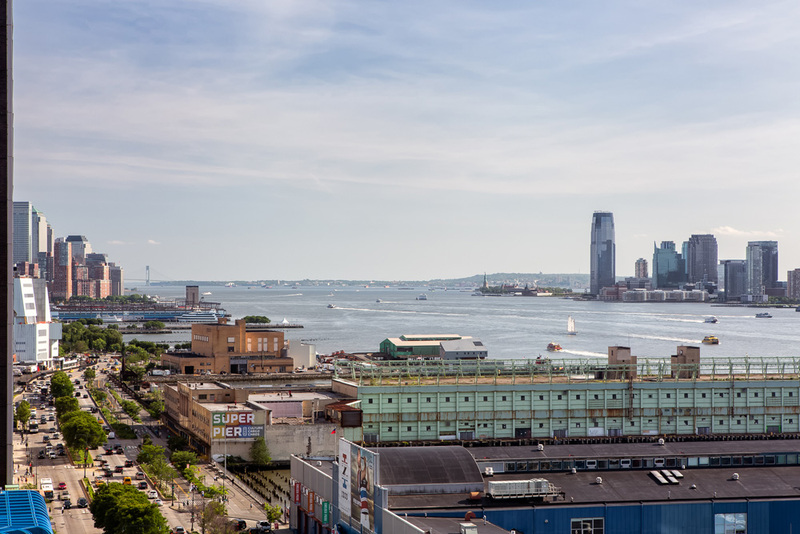 On 21st Street, galleries such as the Gladstone, Paula Cooper and Gagosian line the block of no-nonsense light industrial buildings. 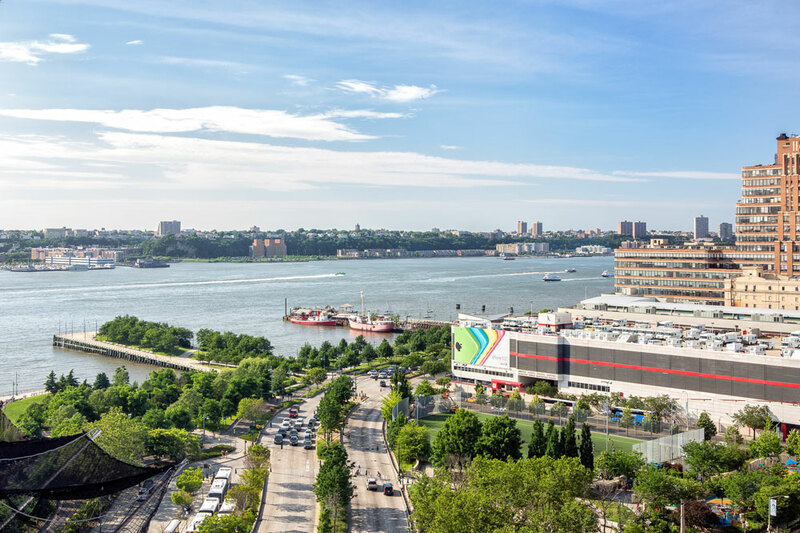 Chelsea Piers Sports & Entertainment Complex, the former ocean line terminal of the White Star and Cunard lines, sits just across Eleventh Avenue along the Hudson River. 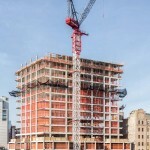 Now, with construction of 551W21’s 19 floors nearly topped out, it’s become apparent that the building will stand as a prominent marker along a gentle bend in the West Side Highway that seems to announce the entrance to Downtown. 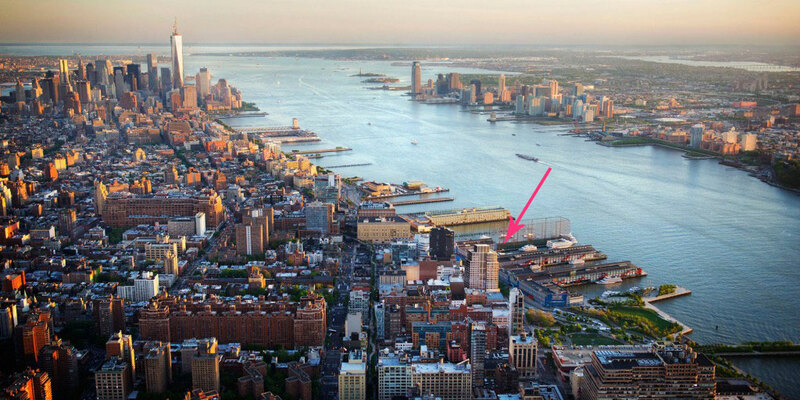 The faceted 1 World Trade Center, along with the rest of the FiDi skyline, is a straight shot south. 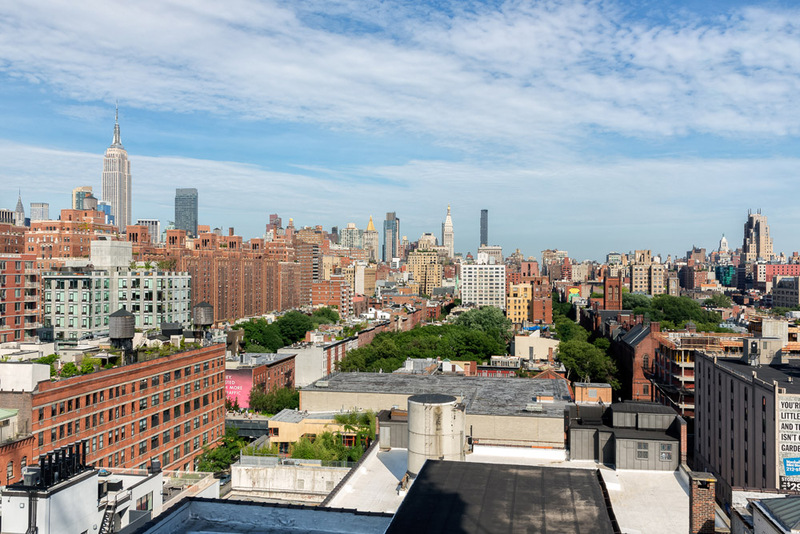 Gone are the prosaic blocks of Midtown — ahead lies some of the city’s most cherished streetscapes containing an eclectic mix of old and new; converted factories buildings alongside the avant-garde. Reflective of the mixed-use and heterogeneous character of the area, 551W21 takes a bit of the Hearst Tower’s pizzazz with a shimmering curtain wall of champagne accented mullions and window surrounds, and pares it down with a cast concrete structural grid that evokes the utilitarian warehouses and manufacturing buildings dotting the neighborhood. 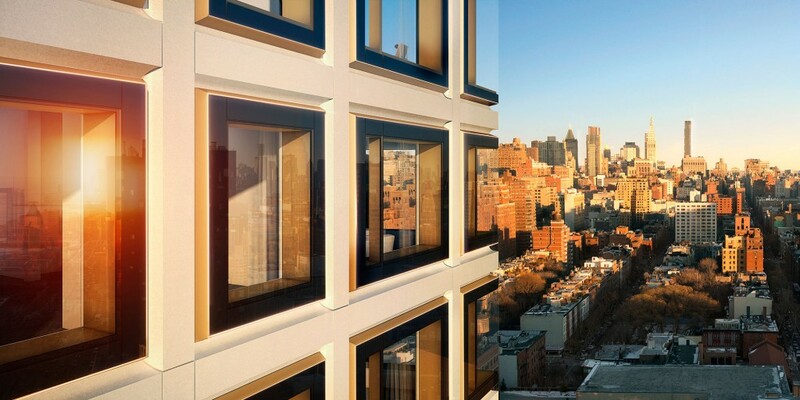 Instead of an all glass facade, large picture windows frame sweeping views, and for us outsiders, they appear as picture frames reflecting small composites of our cityscape. Foster’s golden touch for 551W21’s facade may have been inspired by the nearby Starett Lehigh Building, one of the city’s most iconic industrial structures. The 1932 building originally featured a more vibrant facade of green-framed windows, with sapphire reflections and depths. Its builders, the Starrett Brothers and Eken, completed the Empire State Building a year earlier which contains its own splash of color with its famous “Empire State burgundy” window frames. 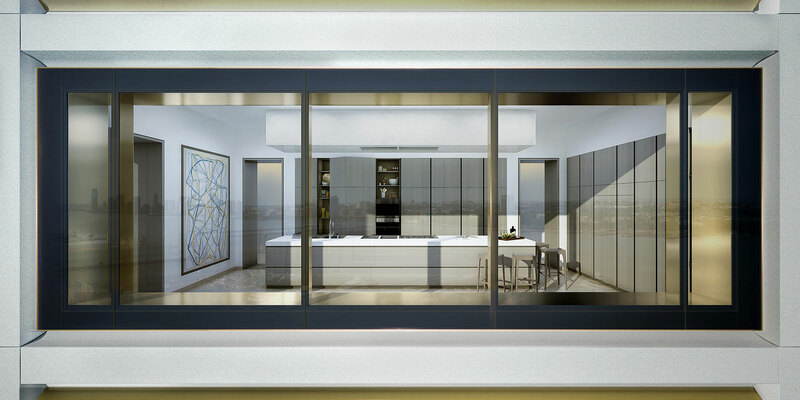 551W21’s residents enter the building along 21st Street and are greeted by a monumental 34-foot high lobby. 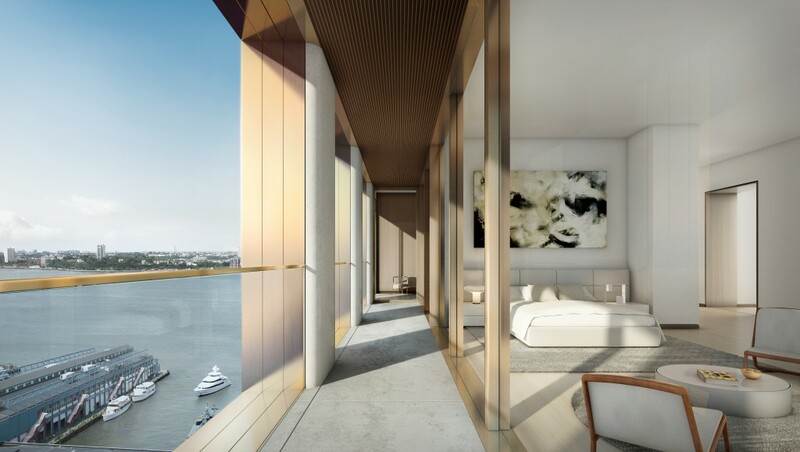 The Rosario Candela-inspired residence layouts each have at least two exposures, 11-foot ceiling heights and window spans proportioned to take in the glorious view in all directions. The attention-to-detail and tranquility of the spaces remind us of the classic uptown pre-war buildings and the upcoming 432 Park Avenue. 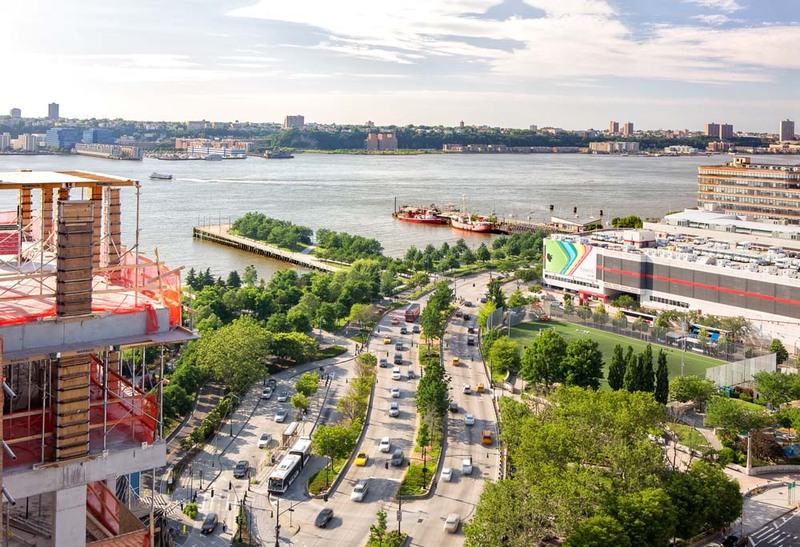 The three full-floor penthouse units start at $35 million and each will have about 6,200 square feet of space with 360-degree helicopter views. They include separate service entrances, double-sided wood-burning fireplaces, oak herringbone floors, free-standing tubs, and private outdoor spaces. 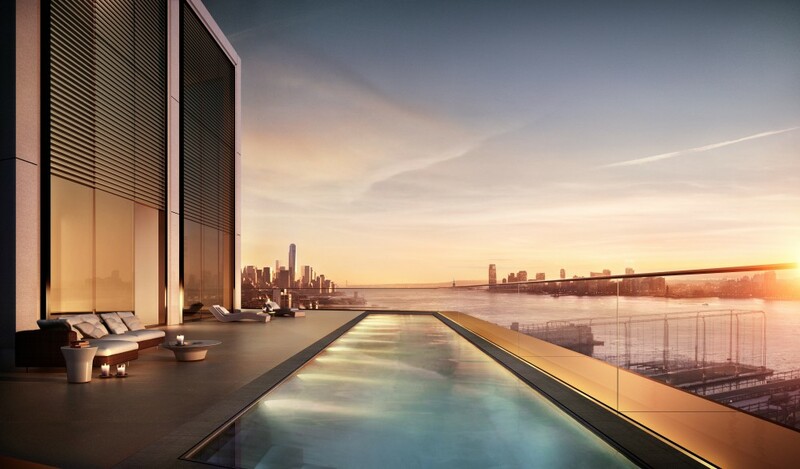 The uppermost penthouse unit will have more than 4,000 square feet of outdoor space with its own 61-foot-long, swimming pool. With projects from four Pritzker Prize winning architects lining Eleventh Avenue – 100 Eleventh by Jean Nouvel, the IAC Building by Frank Gehry, Renzo Piano’s new Whitney Museum, and this project – along with nearby projects by Richard Meier, Shigeru Ban and, soon, Zaha Hadid, Manhattan’s far west side is evolving into the architectural bastion of the city. It’s almost become the young cutting edge counterpart to Riverside Drive. 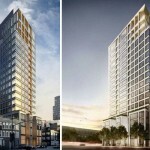 Though the street goes by many names, Twelfth Avenue, Eleventh Avenue, the West Side Highway, West Street, one thing’s for sure: it is the city’s new gold coast and Foster’s champagne colored tower is sure to be a tasteful addition. Cheers to that! 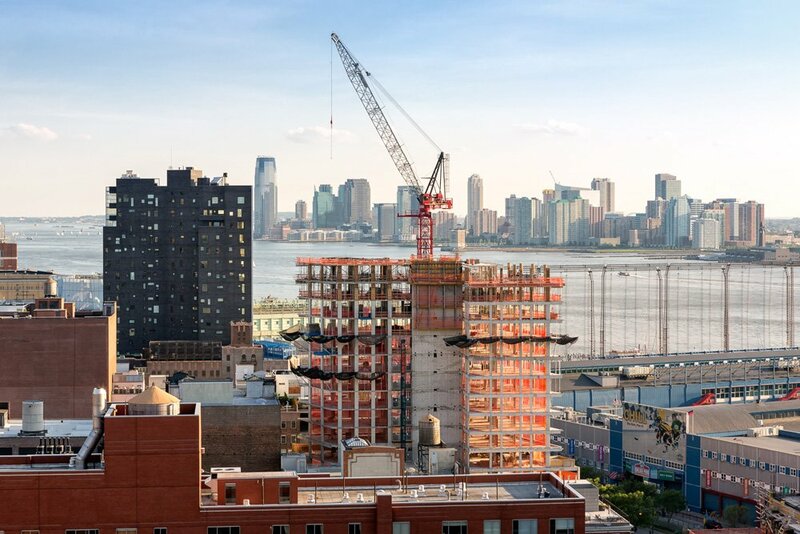 Check out a live webcam of 551W21’s progress here. 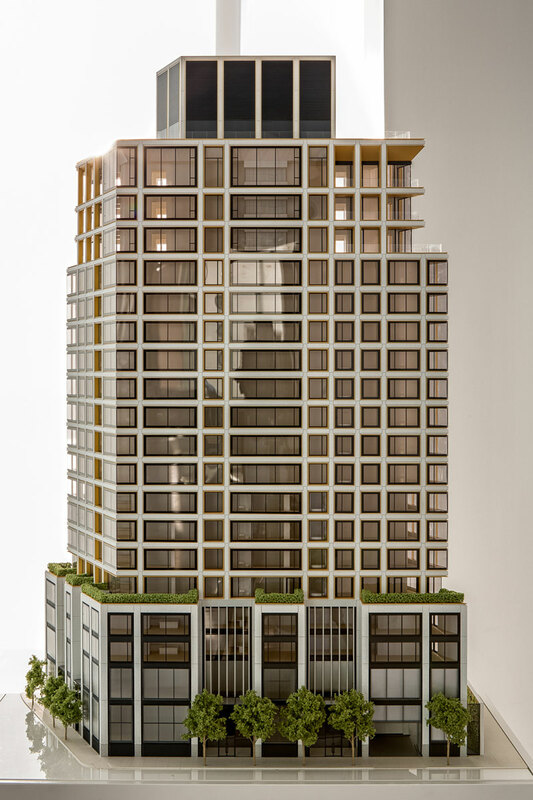 Renderings, model photos and construction mages courtesy of 551W21/Foster+Partners, © David Paler Photography unless otherwise noted.